Jin Young Ko showed poise down the stretch and won the ANA Inspiration. Jin Young Ko has dreamed about taking a leap into Poppy’s Pond for the past five years. That’s the traditional winner’s celebration at the ANA Inspiration. There was no dreaming on Sunday at Mission Hills. Ko, who is being talked about as the next big thing on the LPGA Tour, captured her first major on Sunday at the ANA Inspiration and took that leap into the water at the 18th green. “I was nervous all day,” she said but it didn’t show as she made a clutch birdie at the 16th, parred the 17th then walked down the 72nd fairway with a comfortable two-shot lead. 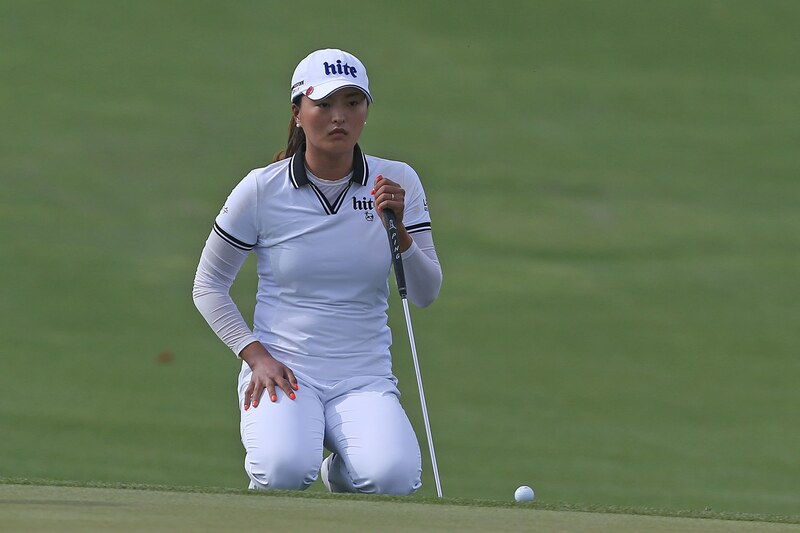 A great drive, a perfect layup then a lob wedge to 10 feet closed the deal and she made that final birdie putt for good measure to shoot a closing 70 that gave her a 10-under par total, good for a three-shot victory over Mi Hyang Lee. “I’m so happy,” Ko said as tears flowed down her face. She has said often that her goal is to be the happiest player on the course. She was the happiest on Sunday. Lexi Thompson posted a final round 67 to finish solo third at six-under par. She’ll look back at her Saturday round where she made triple-bogey on the par four seventh and know that hole cost her a chance at winning this event for the second time. Carlota Ciganda and I.K. Kim tied for fourth at five-under.